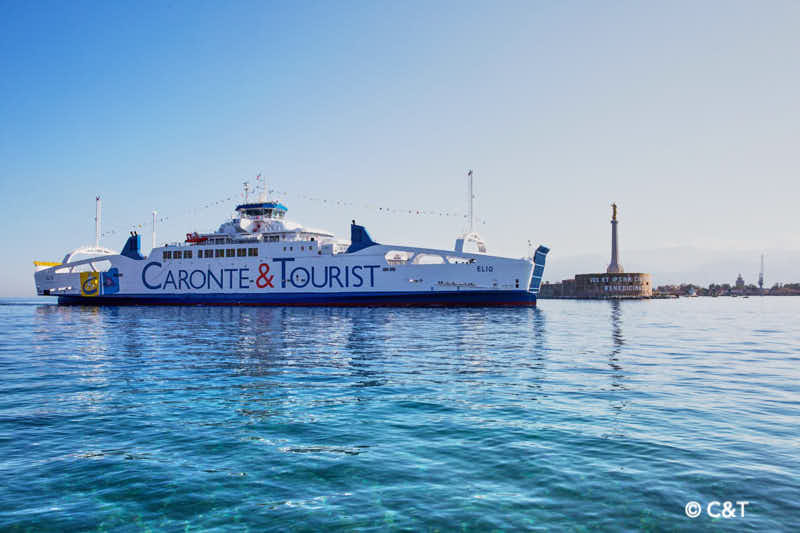 Caronte&Tourist and the new 30% shareholder Basalt Infrastructure Partners jointly announced, on Tuesday 15 January in Palermo, a new 5-year business plan which is expected to bring five news ships in fleet. The investment required is worth some EUR 300 million. Some 60 million is coming from the Sicily Region. It is related to a pair of small ferries due to be deployed on the short sea routes. Some 240 million will be put on the table by Caronte&Tourist for ordering three new ferries and a further 20 million are to be invested for refitting works on the fleet already controlled. In the same occasion it has been revealed also that a sister ship of the double-ender ELIO recently delivered by Sefine shipyard in Turkey had already been ordered. Vincenzo Franza e Calogero Famiani, both at the helm of the Messina-based ferry group, revealed that, following the partnership sealed with Basalt and the new investment plan in pipeline, Caronte&Tourist’s revenues are expected to increase from 203 million in 2017 to 224 million, in five years’ time. The group has been valued at 400 million and Basalt paid some 130 million to take a 30% share.